Is there something that bothers you about the way your smile looks? 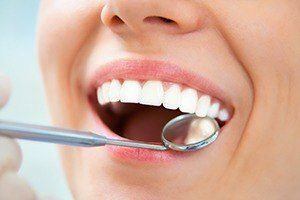 Are your teeth not as white as you would like, or do you find yourself constantly worrying about a chip, crack, or gap? If so, then Dr. Chandy would love to introduce you to cosmetic dentistry. With the services outlined below, she can eliminate any flaw you can imagine and give you the kind of smile that always fills you with confidence. No matter what your teeth look like now, she can turn them into something truly special. To schedule a cosmetic appointment, contact us today. You can get just one to enhance a single tooth or an entire set to achieve a complete smile makeover. They are always custom-made to a patient’s specifications, so the only limit is your imagination. 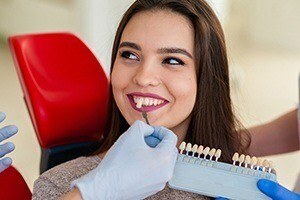 If one of your front teeth becomes damaged or decayed, we understand that restoring its health and appearance are paramount, which is why we will only use beautiful, natural-looking metal-free restorations to do so. Crowns made of either E-Max or Zirconia are 100% ceramic, and because of this, they can be designed to be extremely lifelike. The material is strong, durable, but it can also be shaded to perfectly match real enamel in every way, even down to how it reflects light. 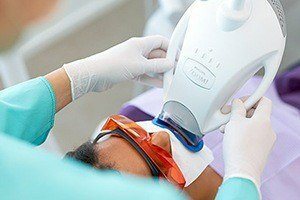 Direct bonding offers a quick and easy way to get rid of minor flaws that throw off the entire look of the smile. With it, you can say goodbye to that one pesky stain, chip, or gap that has been driving you crazy for years. For this, Dr. Chandy will apply a naturally-colored composite resin to a tooth, and then she’ll literally sculpt it until it’s the perfect shape and size. The entire procedure usually takes less than an hour, is completely painless, and the results can last for 10 years or more. Has a love of coffee, wine, tea, tobacco, or aging and genetics caused your teeth to darken and stain? If so, we can restore their youthful glow with Zoom!® Whitening. With just one in-office treatment, we can make your smile up to EIGHT shades whiter in less than an hour!